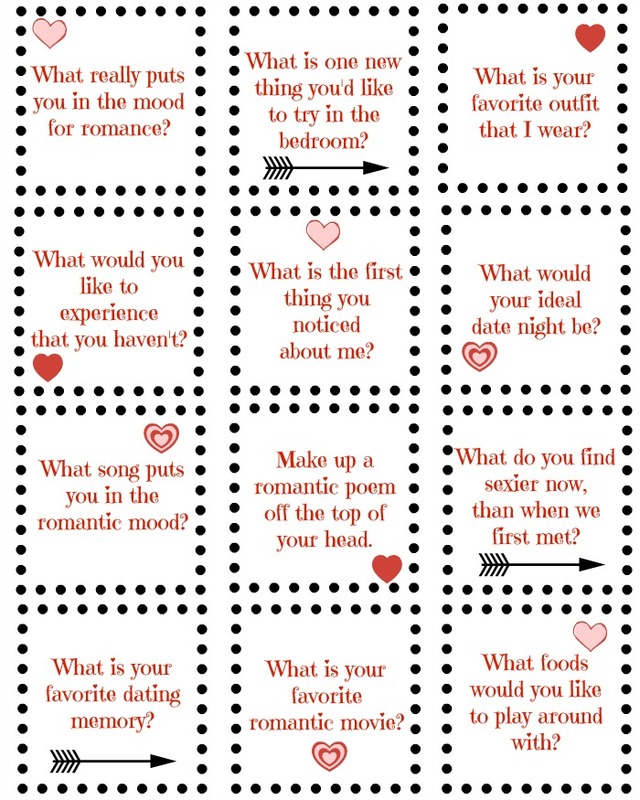 These Printable Love Questions for Spouses are just what Valentine’s Day Date Night In needs! I’m a total romantic, and love all the cheesy things that go along with it. Filling dating books with our memories and movie stubs, keeping boxes of old love notes exchanged, and always thinking of ways to surprise him. That’s me. I sat down the other day and thought of some romantic things my husband and I hadn’t talked about before, or at least in a while. Things like his favorite outfit that I wear, and something new he’d like to try in the bedroom. I may regret finding out the answer to some of these but it should be fun! 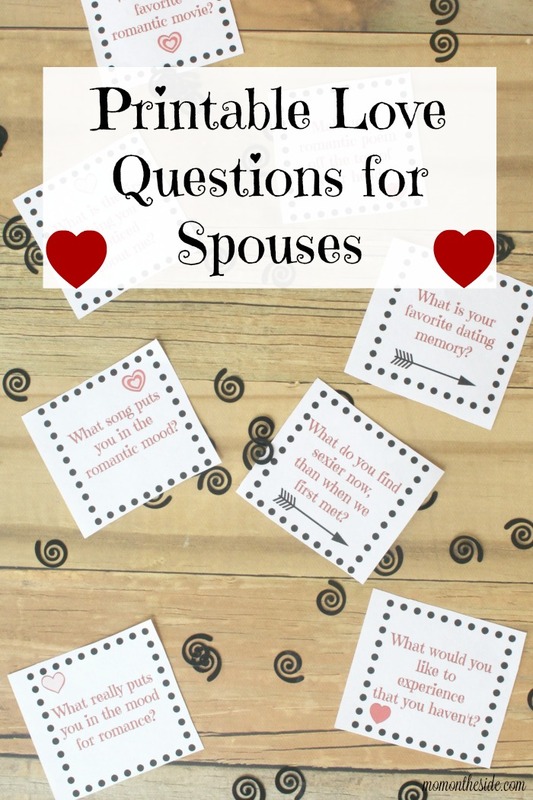 If you want to ask these love questions for spouses, I turned them into printable love questions to make it easier. 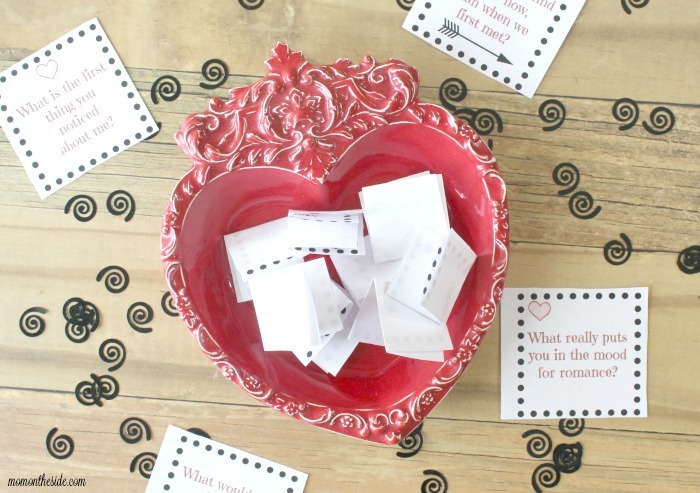 Print these love questions out, toss them in a dish, and take turns sharing your answers. Or, save one for each day and give yourselves a little together time each night.